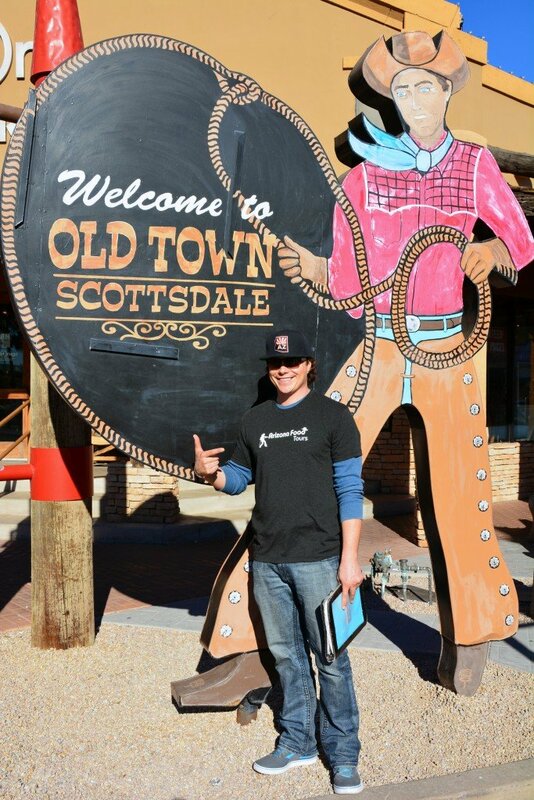 Zach is a super friendly, mega-informative guide with Arizona Food Tours. 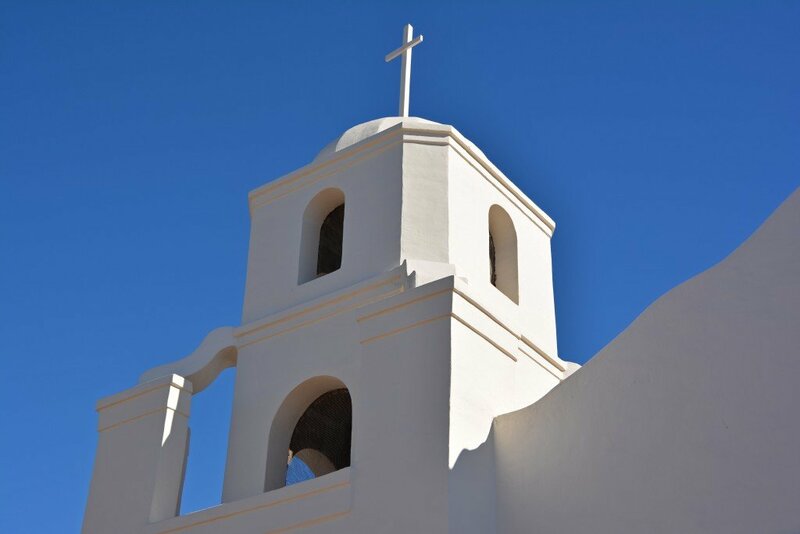 During a recent trip to Scottsdale, we joined up with Arizona Food Tours for a delectable journey to some of Old Town’s most notable dining establishments! 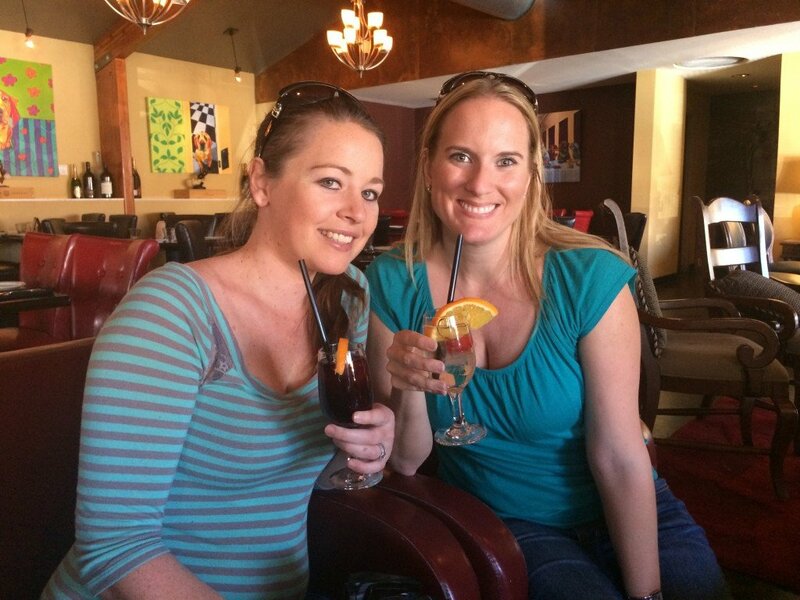 What we loved about this Scottsdale food tour was the mix of great food and drinks, but also the history lesson that came with it! 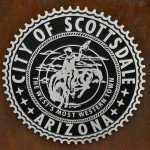 The tour began in front of the Scottsdale History Museum (the first schoolhouse) where we learned how Scottsdale was established. The dapper gentleman you see in the picture above is none other than Winfield Scott, the founder of Scottsdale. 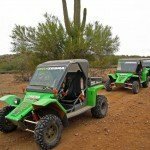 One thing we learned on the tour is that Scottsdale wasn’t always called Scottsdale! You’ll have to go on the tour yourself to learn the original name. Hint: it has something to do with the abundance of citrus groves grown by Winfield and his brother, George. 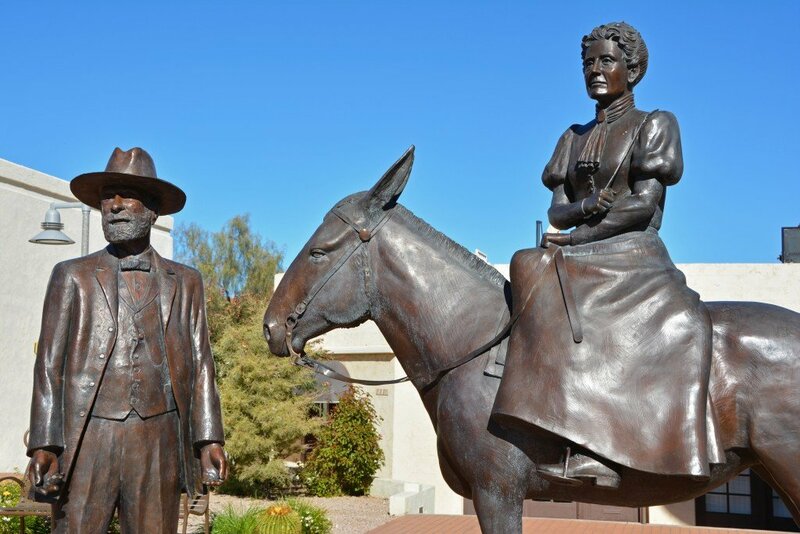 Next to the statue of Winfield is his wife, Helen, and their trusty mule, Maude. 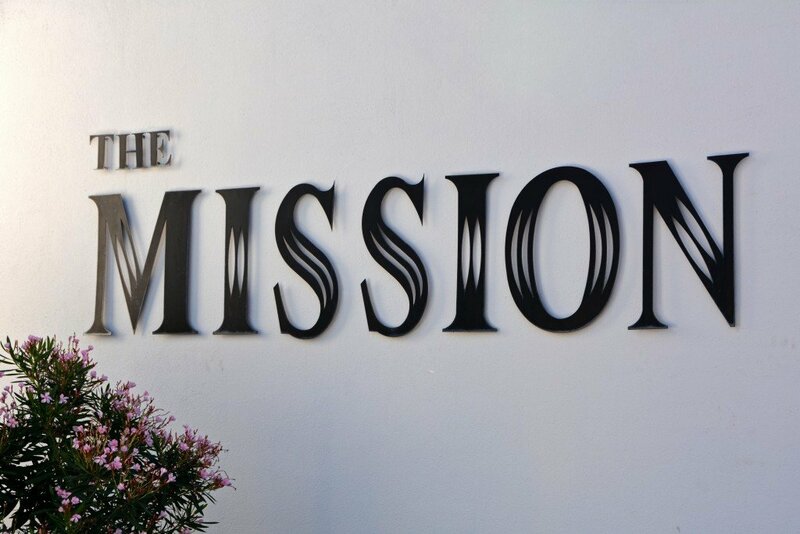 Our first stop on the lunch tour was The Mission– serving modern Latin cuisine in a sophisticated yet casual setting. 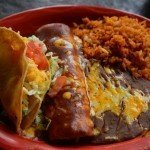 Keep in mind that AZ Food Tours runs multiple lunch tours throughout the week (none on Monday) and dinner tours on Tuesday, Wednesday, and Sunday. Most recently they started offering a Sip ‘n’ Sample tour on Saturday afternoons. Check out their website for more information regarding prices and restaurants visited on each of the tours. 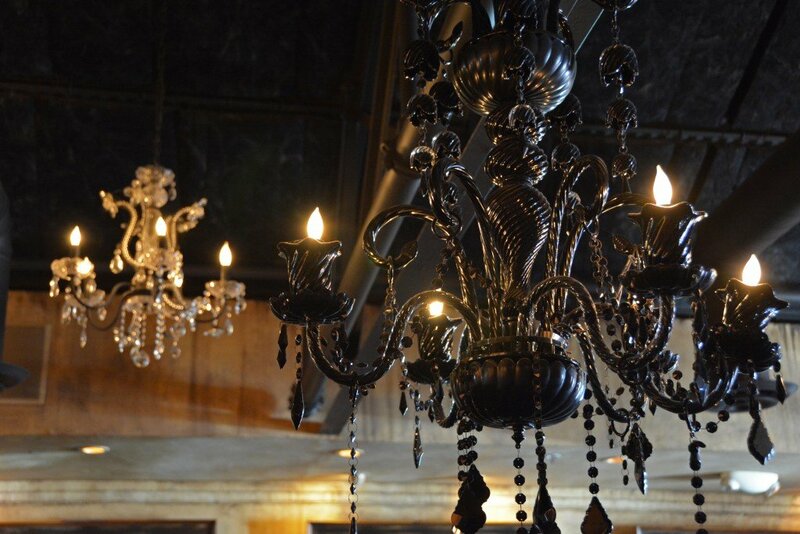 The ambiance at Mission made for a great first stop on our 3-hour walking tour. 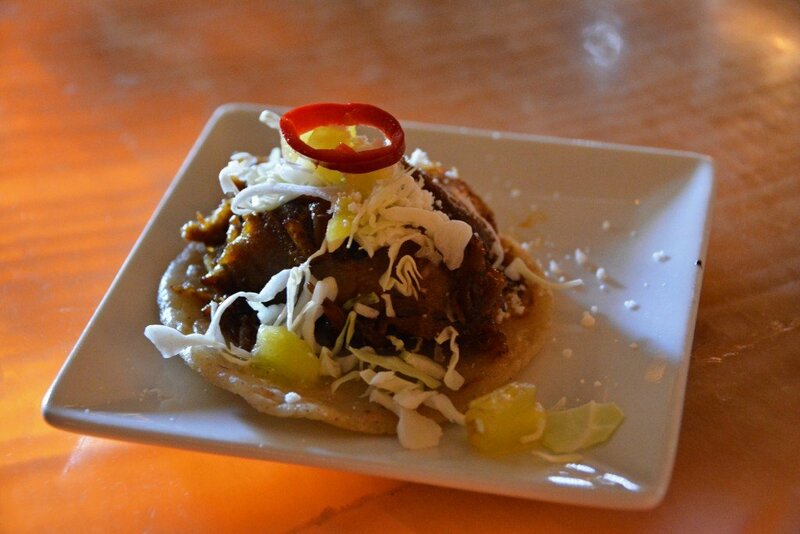 On the tasting menu at The Mission was a pulled-pork street taco. The tender juicy meat had been smoked‎ & slow braised for 12 hours! It was served with pineapple and habanero glaze on a hand-made corn tortilla. Yum! 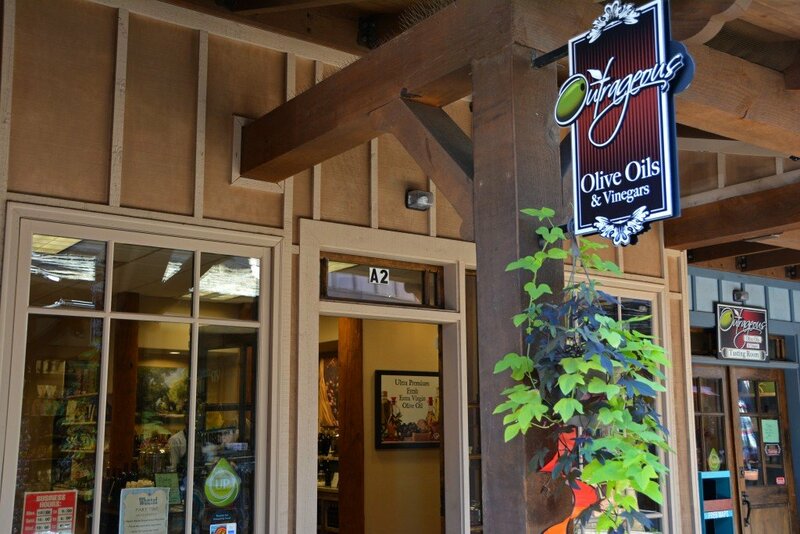 To be honest, at first I wasn’t super excited about the next stop on our tour- Outrageous Olive Oils and Vinegars. However, just as advertised, they changed my mind about these flavorful culinary enhancements. Heather informed us all about what makes a good (and not-so-good) olive oil, the seasons and regions where the olives come from, and unique ways to enhance a usually bland dish with these flavorful and savory varieties of olive oil! 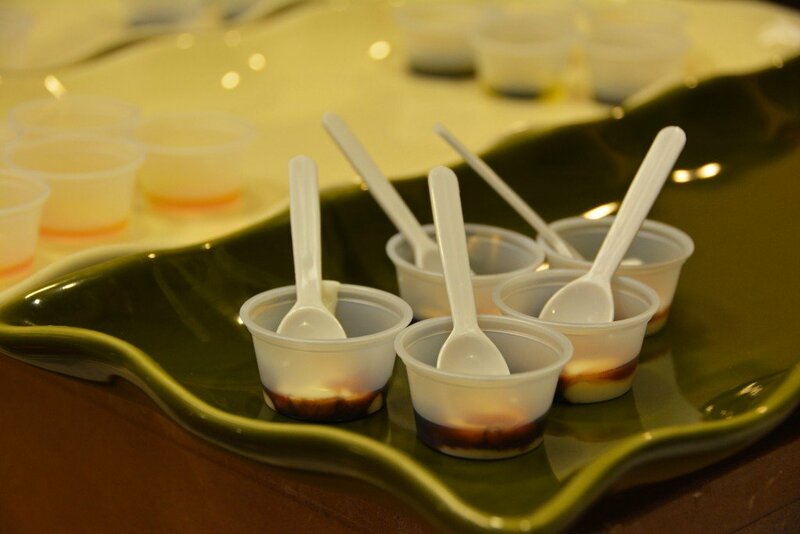 We sampled olive oils by themselves and also mixed with a vinaigrette. We also tried yogurt topped with an espresso vinaigrette (I sampled the dark cherry vinaigrette, as I’m not a fan of anything coffee flavored). It was surprisingly delicious! 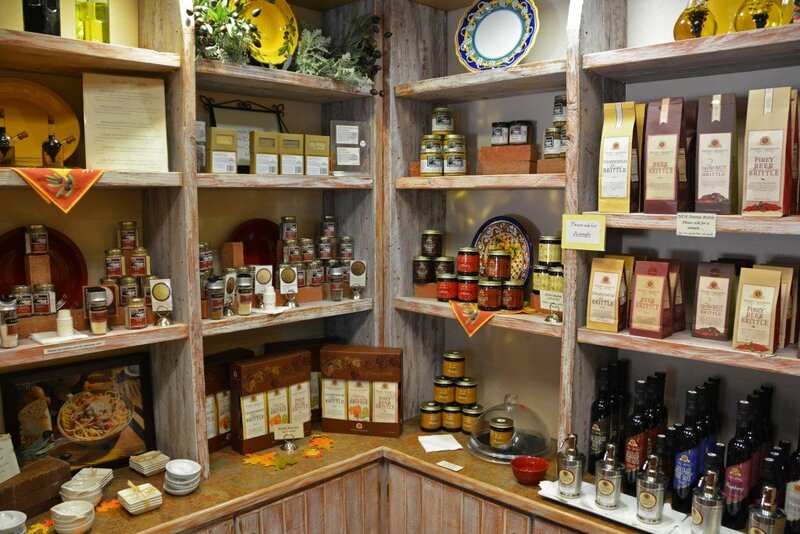 There are so many unique culinary delights you can make with olive oils and vinegars. We had no idea. 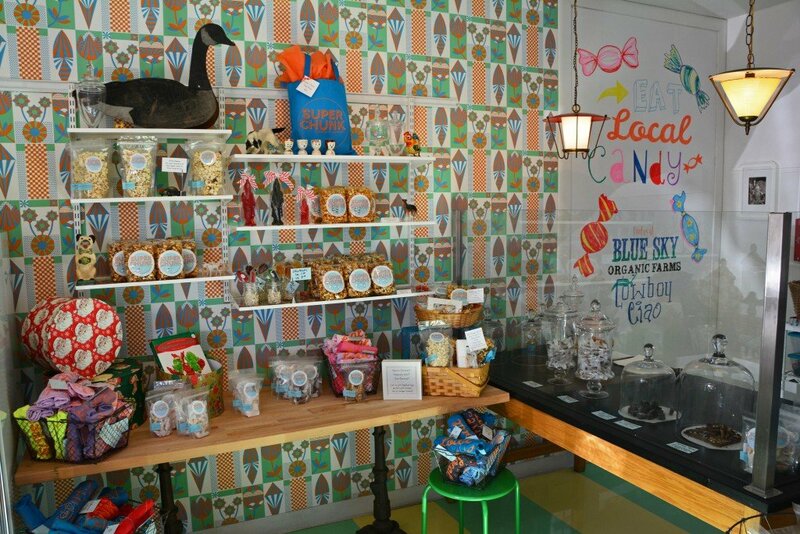 Outrageous OO&V has many great gift options for you to take home (for yourself or loved ones). 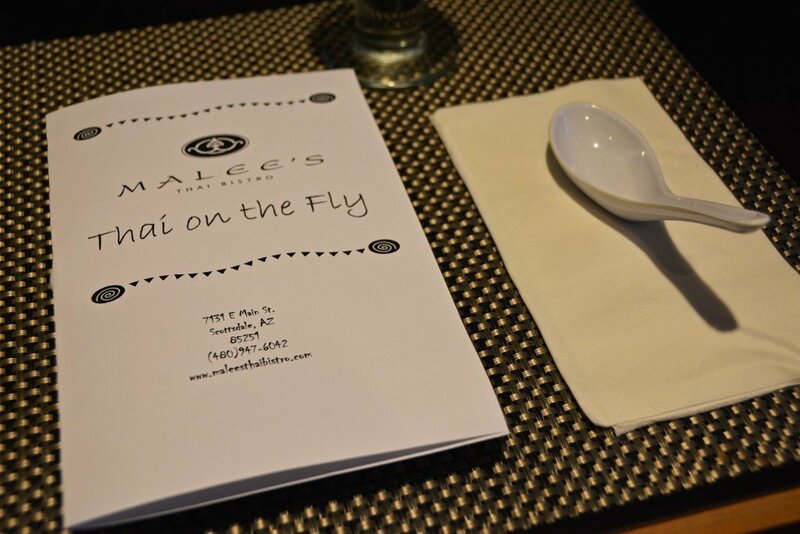 Following the delightful oil and vinegar samplings, we left the “old west” area of Old Town and walked to the art district where we visited Malee’s Thai Cuisine. 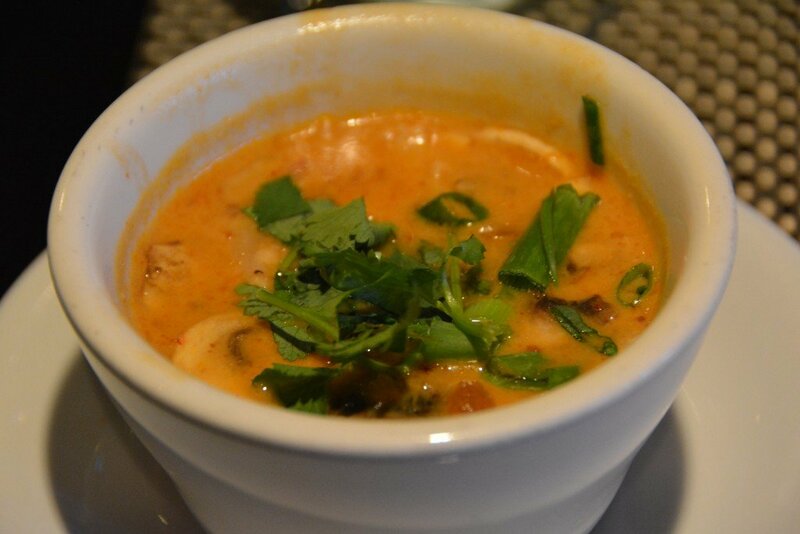 Here, we were treated to their famous Tom Ka Gai soup. It’s a hot & sour soup made with chicken, mushrooms, fresh lemon grass, galanga root, kefir lime leaf & coconut milk. Delish! 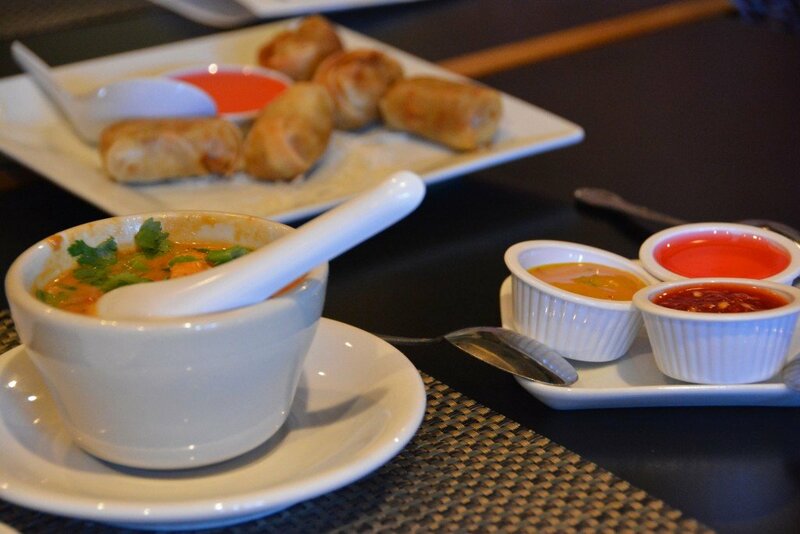 The spring rolls were also outstanding, filled with egg, celery, carrot, glass noodles and Thai spices. I should mention here that AZ Food Tours was very accommodating with Sam’s gluten intolerance. Zach would call ahead to each restaurant and they would provide something different for Sam, if necessary. Here he was provided with the vegetable roll, but in a rice wrapper. After Malee’s, we strolled through the art district and moved onto the fashion district, one of Scottsdale’s many upscale regions in the downtown area. 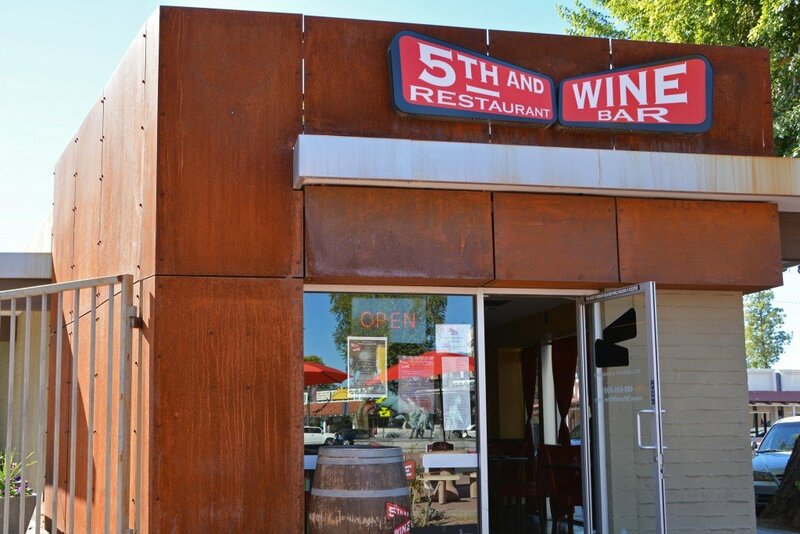 Probably one of our favorite stops on the tour was 5th and Wine! 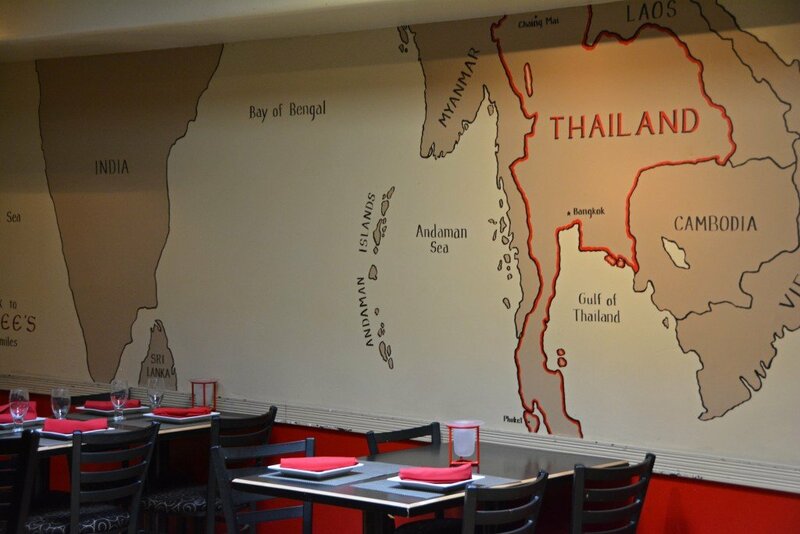 At 5th & Wine, they pride themselves on serving a wide array of simple, flavorful food at moderate prices. 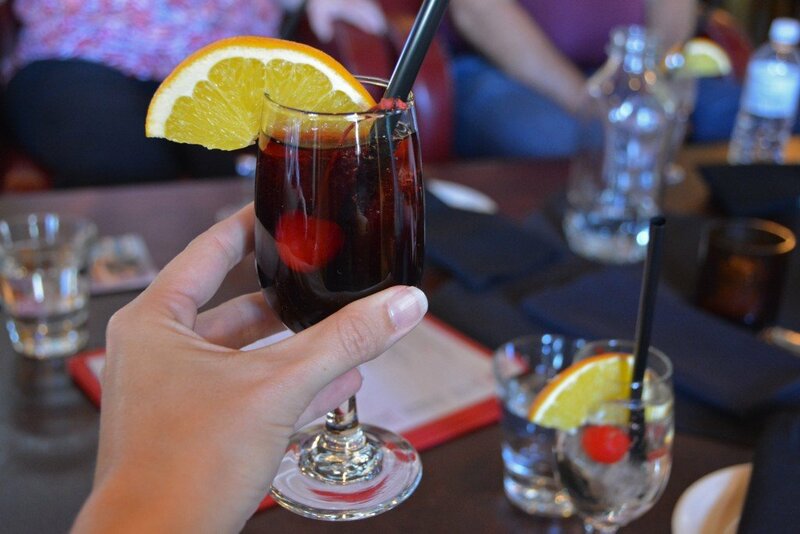 A place that starts us off with a sangria toast has to do a lot to lose points in our book! We had quite the spread at 5th & Wine, including hummus, tzatziki and cucumbers, two types of bruschetta, homemade meatballs, burrata caprese, and fried pickles! 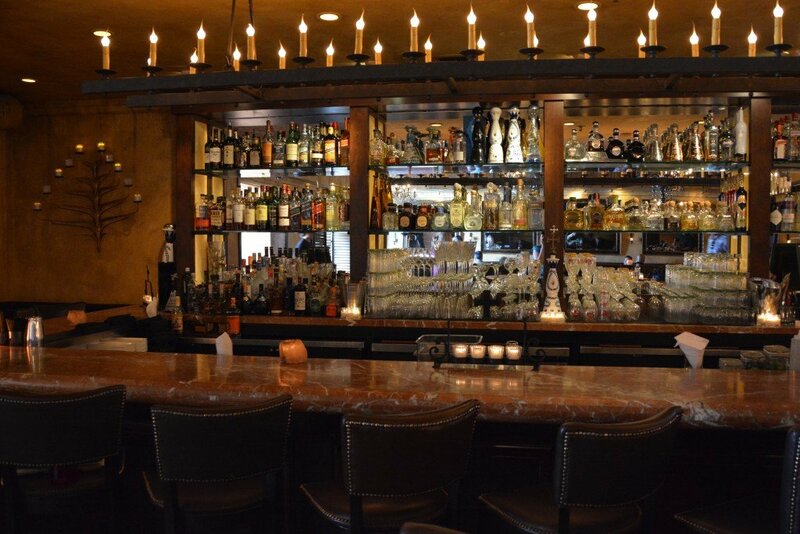 Our second to last stop on the food tour was Cowboy Ciao, an eclectic dining establishment in the heart of downtown offering a modern American menu with Southwest accents and global influences and boasting an internationally-acclaimed wine list hovering around 1800 selections! 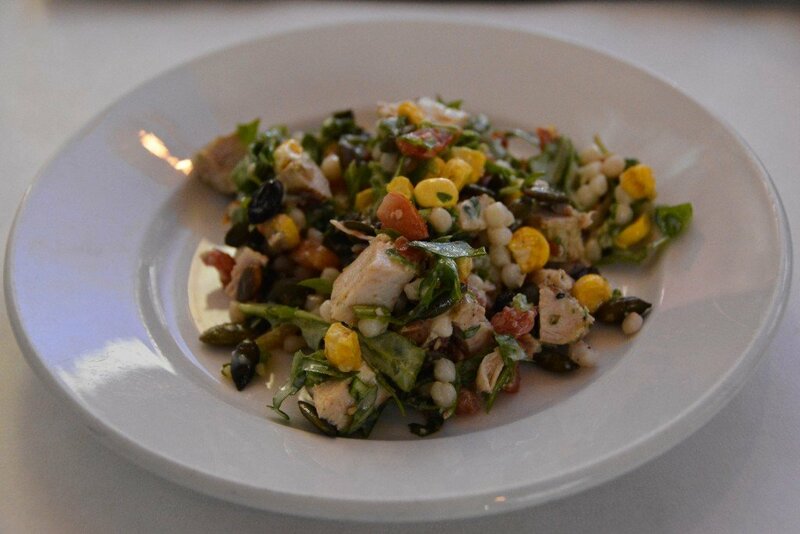 Besides their incredibly long wine list, Cowboy Ciao is pretty well-known for their delicious Stetson Salad. 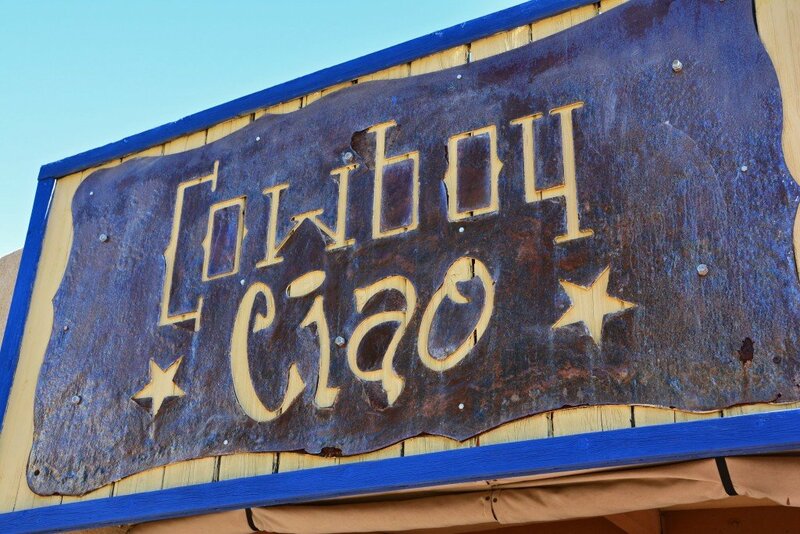 There are more ingredients than we can remember, so you’ll just have to go on the tour or stop by Cowboy Ciao and try it for yourself! And for our final stop of the day, we appropriately visited a dessert shop called Super Chunk, run by Country, the Executive Pastry Chef at Cowboy Ciao, and her husband, Sergio. 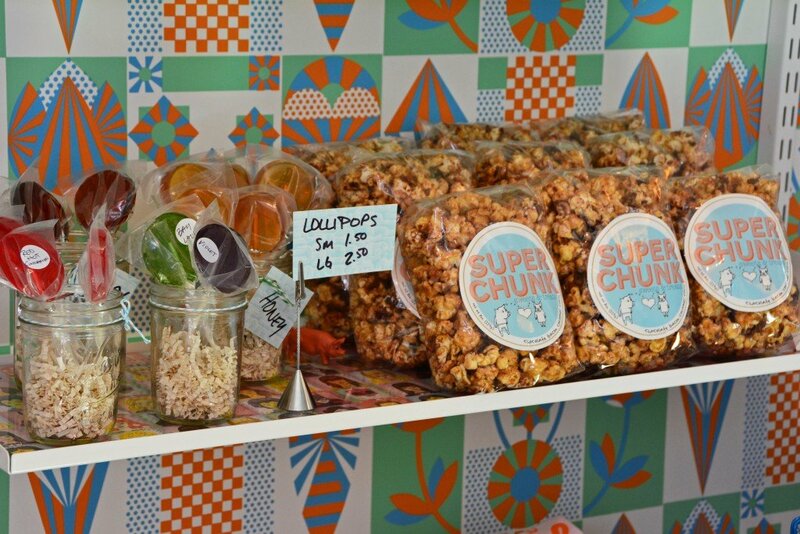 At Super Chunk, they specialize in small-batch, handcrafted sweets & treats with a modernized, unique twist. 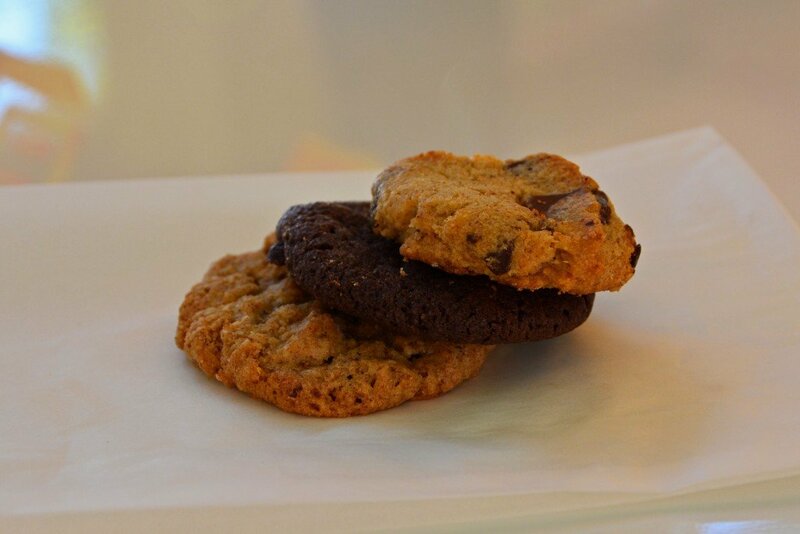 We sampled a few of their unique cookie creations. Sam had the opportunity to try their made-from-scratch-in-house ice cream. He went for the fresh hops flavor. And before we knew it, our tour had ended! 3 hours flew by all too quickly. 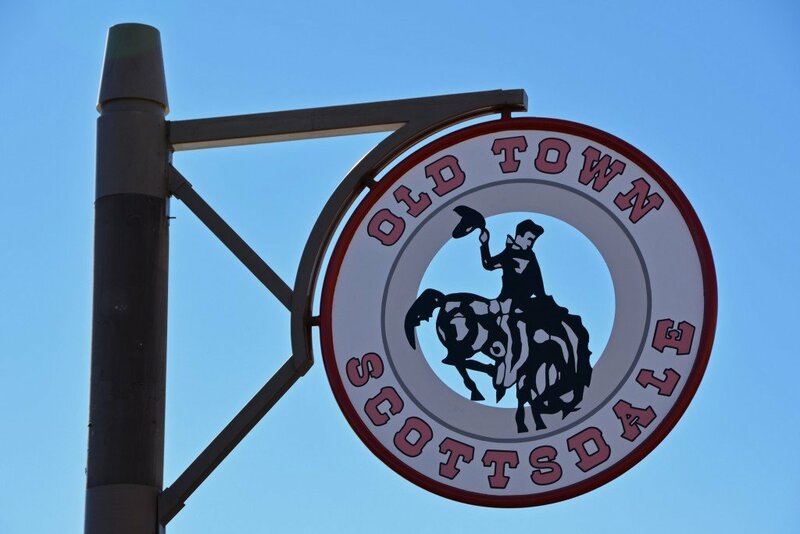 We enjoyed every savory bite and now have restaurants to recommend to others and to visit on our next trip to Scottsdale! 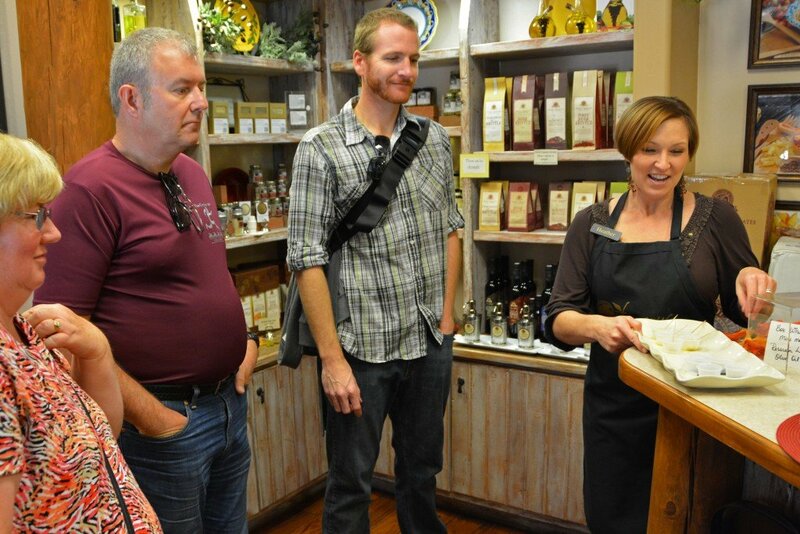 Arizona Food Tours partnered with Forget Someday to provide us with a complimentary food tour. The experiences shared in this review are an honest representation of the experience we had. And yes, we would definitely recommend this tour! 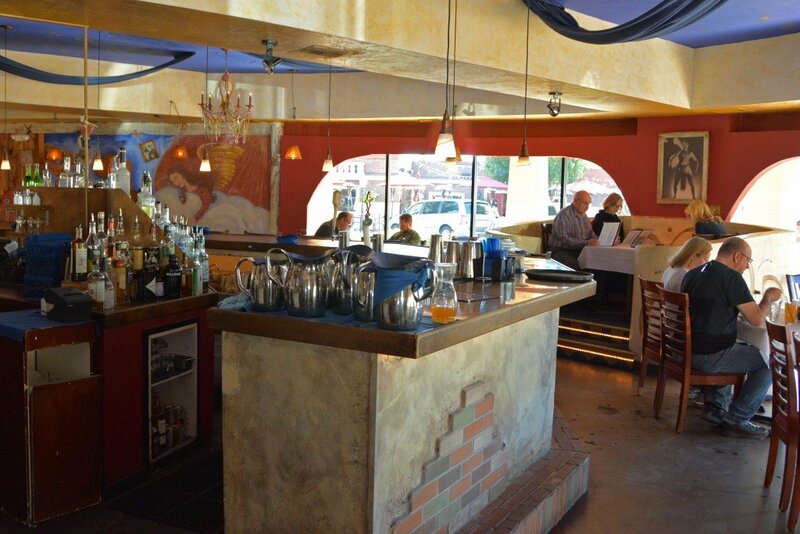 🙂 Remember, AZ Food Tours offers a variety of tours throughout the week and different restaurants in Scottsdale are visited on each tour. So, be sure to check out their website to find the tour that gets your mouth watering! 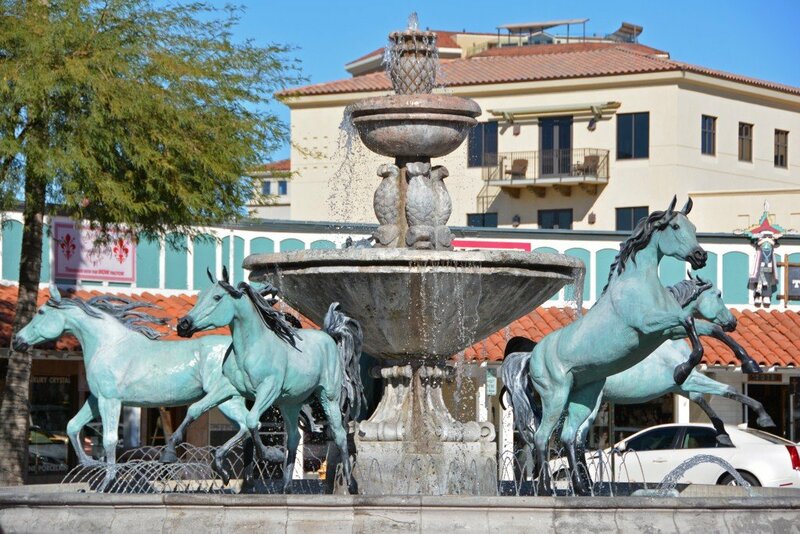 For more tips on places to grab some grub, check out our post on food in Scottsdale and please feel free to download our Scottsdale/Phoenix Destination Guide for quick reference to help with planning your own Arizona getaway! 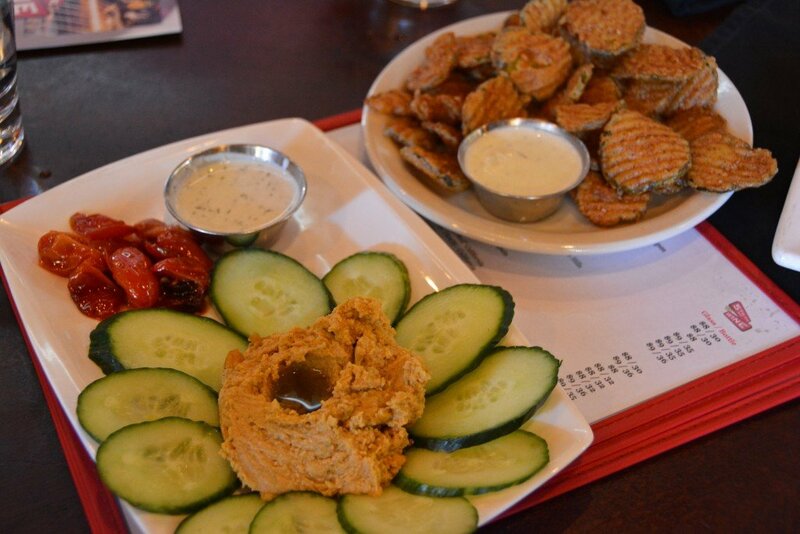 These photos are making my mouth water remembering the amazing food we had on the tour! Great photos and write up – I loved this tour and can’t wait to book onto a dinner one! Will be sure to link to your article when I write my own this week!